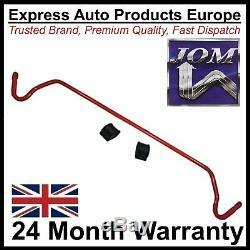 High quality uprated anti roll bar made by JOM in Germany. Red powder coated stabilizer bar. Loops are large for greater clearance of some Drive Shafts when lowering. Some cars need a different profile this profile is the only one we stock. Comes with two new anti roll bar bushes. Cars witha Anti Roll Bar with middle scop out profile for exhaust. Check and compair profile in Photo to your car Anti Roll Bar Carefully before Ordering. Imported from GERMANY stocked in the UK. Always check the photo and part numbers match the product you are replacing. 30 Day return if you change your mind. Parts individually inspected before posting. Supplying to the World since 1968. All sales are subject to our terms and conditions of sale. 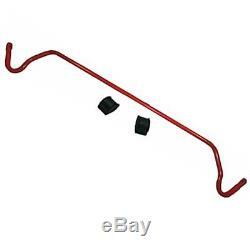 The item "Anti Roll Bar 21mm Heavy Duty Red VW Audi SEAT JOM 740344" is in sale since Wednesday, June 7, 2017. This item is in the category "Vehicle Parts & Accessories\Car Parts\Suspension & Steering\Anti-Roll/Sway Bars". The seller is "volksbits_england" and is located in West Midlands. This item can be shipped worldwide.